For a quick overview of all the GNRHS has to offer, checkout the menu at the top of the page or choose a link for more detailed information. 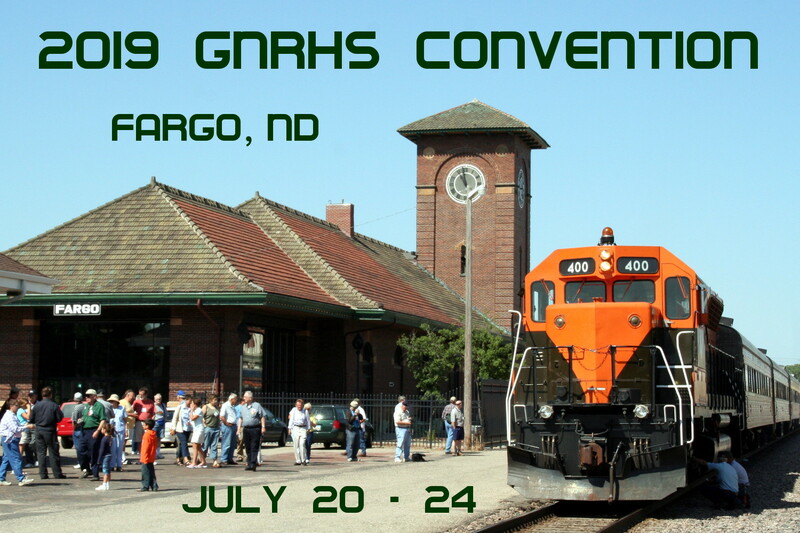 Greetings fellow Great Northern Railway enthusiasts. 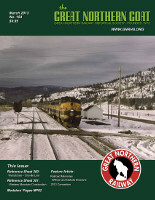 I’m pleased to introduce myself as the newest editor of the Great Northern Goat, the quarterly publication of the GNRHS. I believe I possessed the single-most important trait that the GNRHS Board was seeking in an editor—a willingness to say yes. I’ve been a rail fan all my life. I was born and raised in Foley, Minnesota, and have spent the last 34 years teaching history and economics to the youth of east central Minnesota. I know I’ve sat passively on the sidelines too long and watched other enthusiasts deftly lead this organization both directly and indirectly. I encourage more of you to consider my example and also seek opportunities to support this operation. It certainly is a risk, but there is plenty of guidance to support you. 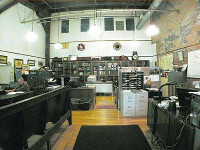 To that end I’m very appreciative of Phil Webb, who will continue to serve as the layout and photo editor for the Goat. I must certainly express my admiration and appreciation for the support I have received from our outgoing editor, Ed Stankard. I’ve had valuable, lengthy conversations with these two gentlemen, as well as Bill McGinley, our president. There are also many others who I have exchanged communication with, and others whom I plan to connect with in the near future. There is a wealth of knowledge and interest in this organization. While I might feel overwhelmed at the moment, I trust that with the support and guidance of all these enthusiasts, the Goat will continue to be a valued publication for the members of this organization for years to come. I’ll appreciate and welcome any support and suggestions for the Goat publication. The GNRHS must remain true to the members and strive to meet their needs and wants. Until I am assigned the official email address for the editor, I can be reached at my personal email account: chasbett@gmail.com. If you wish a phone or personal conversation just email me and we can set that up. Chas has begun working with Editor Stankard on the June issue of the Goat for a smooth transition and will assume full responsibility after Ed steps down this summer. For those that did not see it in the March Goat, I stepped down as President of the GNRHS at the end of January. The Board elected Bill McGinley as the new President. Bill and I have been working together to make sure there is an orderly transition of leadership and I hope that all the members support his efforts in bringing new ideas to the Society. I would like to thank everyone for their support over the last 5 years. A new website has been created at ebtrain.net honouring the Empire Builder train’s past and advocating its future. 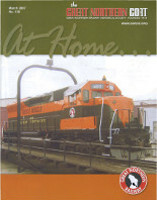 The website is for and about the Empire Builder passenger train. 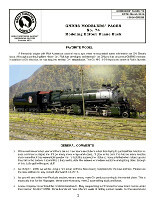 The site is “all things Empire Builder” including a forum and historical information. 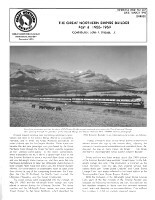 Historical information is an important consideration with the Empire Builder, named for James J. Hill, whose railroad helped settle the American Northwest and was the primary driver in the creation of Glacier National Park. 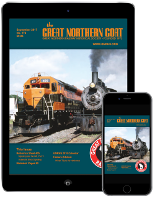 The website allows learning about the train, how to use the train, why the train is important, and how you can support the continued operation of the train. 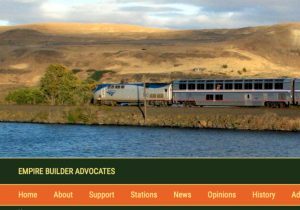 The Empire Builder operates daily between Chicago and Portland and Seattle across America’s Northern Tier via Minneapolis/St. 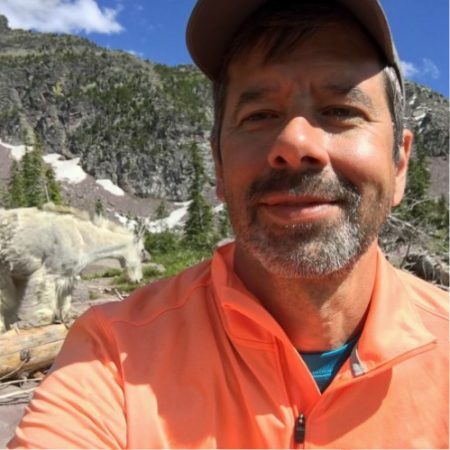 Paul, Grand Forks, Glacier National Park, and Spokane, providing a valued service to online communities (many with few transportation options). Its continued operation is vital to these communities. 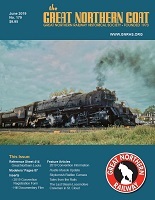 Great Northern Railway Historical Society updated their cover photo.